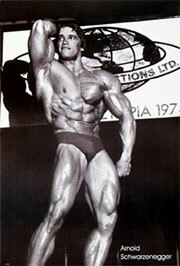 This world-famous athlete and actor was born in Thal, Austria in 1947, and by the age of 20 was dominating the sport of competitive bodybuilding, becoming the youngest person ever to win the Mr. Universe title. 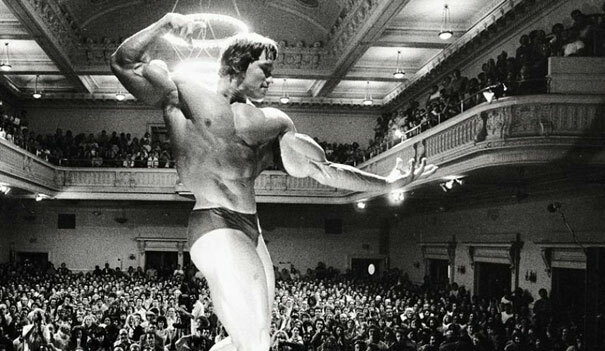 By generating a new international audience for bodybuilding, Schwarzenegger turned himself into a sports icon. With his sights set on Hollywood, he emigrated to America in 1968, and went on to win five Mr. Universe titles and seven Mr. Olympia titles before retiring to dedicate himself to acting. Later, he would go on to earn a college degree from the University of Wisconsin and proudly became a U.S. citizen. Schwarzenegger, who worked under the pseudonym Arnold Strong in his first feature, HERCULES in New York, quickly made a name for himself in Hollywood. In 1977, the Hollywood Foreign Press Association recognized him with a Golden Globe® for New Male Star of the Year for his role in STAY HUNGRY opposite Sally Field. His big break came in 1982 when the sword and sorcery epic, CONAN THE BARBARIAN, hit box office gold. 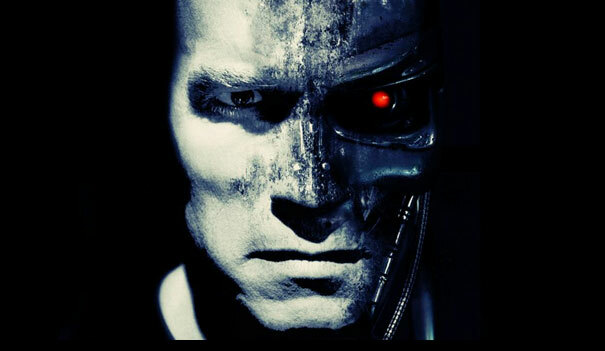 In 1984, Schwarzenegger blew up the screen and catapulted himself into cinema history as the title character in James Cameron’s sci-fi thriller, TERMINATOR. He is the only actor to be in both categories of the American Film Institute’s Hundred Years of Heroes and Villains for roles he played in the film. To date his films have grossed over $3 billion worldwide. 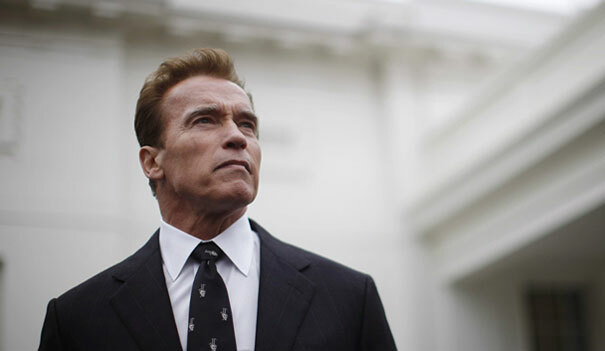 In 2003, Schwarzenegger became the 38th Governor of the State of California in a historic recall election, and as governor ushered in an era of innovative leadership and extraordinary public service. Schwarzenegger's most notable accomplishments while governor include the nation-leading Global Warming Solutions Act of 2006 - a bipartisan agreement to combat global warming by reducing California's greenhouse gas emissions - and overhauling the state's workers' compensation system - cutting costs by more than 35 percent. In addition, Schwarzenegger was the first governor in decades to make major investments in improving California's aging infrastructure through his Strategic Growth Plan, helping to reduce congestion and clean the air. He established the Hydrogen Highway and Million Solar Roofs Plan, continuing his leadership in creating a greener environment. 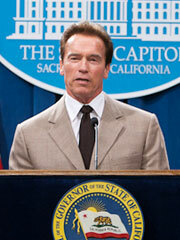 In November 2009, more than three years of leadership by Governor Schwarzenegger culminated with the passage of the Safe, Clean and Reliable Drinking Water Supply Act of 2010. As governor, he was California's most effective marketing tool, traveling across the country and around the world promoting California-grown products, cutting-edge technologies and the state's diverse travel destinations. In addition, using his background as an internationally recognized athlete, Schwarzenegger made restoring health and fitness a top priority. He signed legislation making the state's school nutrition standards the most progressive in the nation and continues to promote healthy habits by taking harmful trans fats out of California restaurants and ensuring nutritional information is available to diners. To improve classrooms across the state and ensure that all California’s students have access to the world-class education they need to grow, thrive and succeed, Schwarzenegger led the reform to make California competitive for up to $700 million in federal Race to the Top funds. But it is Schwarzenegger’s commitment to giving something back to his state and to his country through public service that gives him the most satisfaction; donating his time, energy, and personal finances to serving others all over the world. Schwarzenegger acts as Chairman of the After School All-Stars, a nationwide after-school program, and serves as coach and international torch bearer for Special Olympics. He also served as Chairman of the President’s Council on Physical Fitness and Sports under George H. W. Bush and as Chair of the California Governor's Council on Physical Fitness and Sports under Governor Pete Wilson. Since leaving office, Schwarzenegger co-founded the R20 Regions of Climate Action, a global non-profit dedicated to helping subnational governments develop, implement, and communicate the importance of low-carbon and climate resilient projects as well as their economic benefits. In December 2012, he was recognized as a 2012 Global Advocate by the United Nations Correspondents Association for his work with the organization. In August 2012, the University of Southern California Schwarzenegger Institute for State and Global Policy launched to provide students an opportunity to focus on the responsibility of leaders to transcend partisanship in order to implement policies that most benefit the people they serve. Its five priority areas of focus are education, energy and environment, fiscal and economic policy, health and human wellness, and political reform. His political reform campaign has grown exponentially since he left the Governor’s office to litigation and lobbying around the country to help end gerrymandering once and for all. In 2014, Schwarzenegger combined his love of global issues and entertainment to serve as executive producer and correspondent on Showtime’s Emmy winning climate change docu-series, YEARS OF LIVING DANGEROUSLY. Most recently he appeared in KILLING GUNTHER (2017), directed by SNL alum Taran Killam. 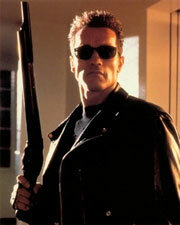 This year, he will be reprising his iconic role as The Terminator in a new installment in the franchise. 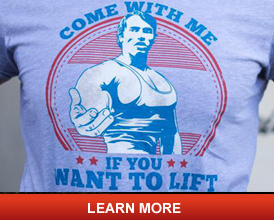 Total Recall Book Club Forum: discuss fitness, movies, politics and my book.